On January 10, 2018 The Hollywood Museum in Los Angeles, CA played tribute to the original Caped Crusader, “Batman 66”. The French Reporter Jackie chats with guests such as, Celeste Thorson (How I Met Your Mother), Lee Meriwether, Jeremy Miller (Growing Pains), Chloe Noelle, Jeraldine Saunders (Love Boat), Leron Gubler, Whitney Bowers, Burt Ward (Original Robin- Batman), Kat Kramer(Little Fockers), Iris Almario discuss who they’re favorite Batman is, and some favorite Batman memories and what brings them out tonight. The Batman Franchise has gone on to be one of the most recognized superheroes of all times, including portrayals by leading men such as Christian Bale, Val Kilmer, Ben Affleck, George Clooney and the honoree of tonight, Adam West. Guests from this event share some of their favorite memories surrounding the Batman franchise and what they are looking forward to seeing on display in the exhibit. 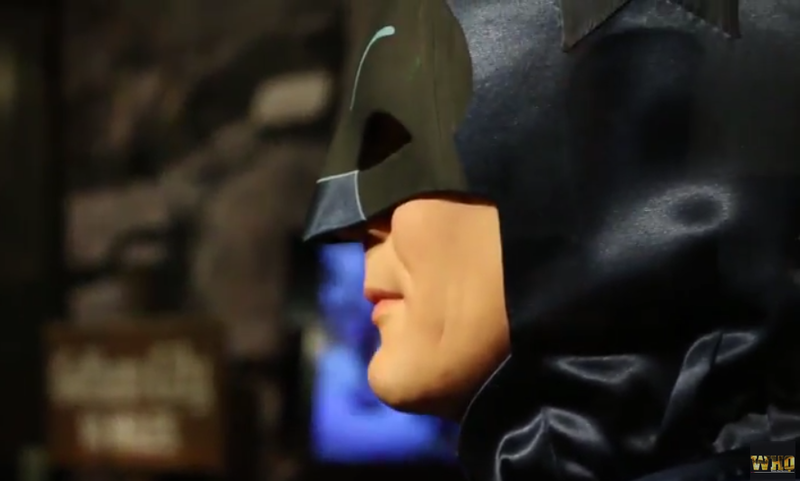 The extensive exhibit includes collectibles, games, props, costumes, scripts and even the Batmobile.